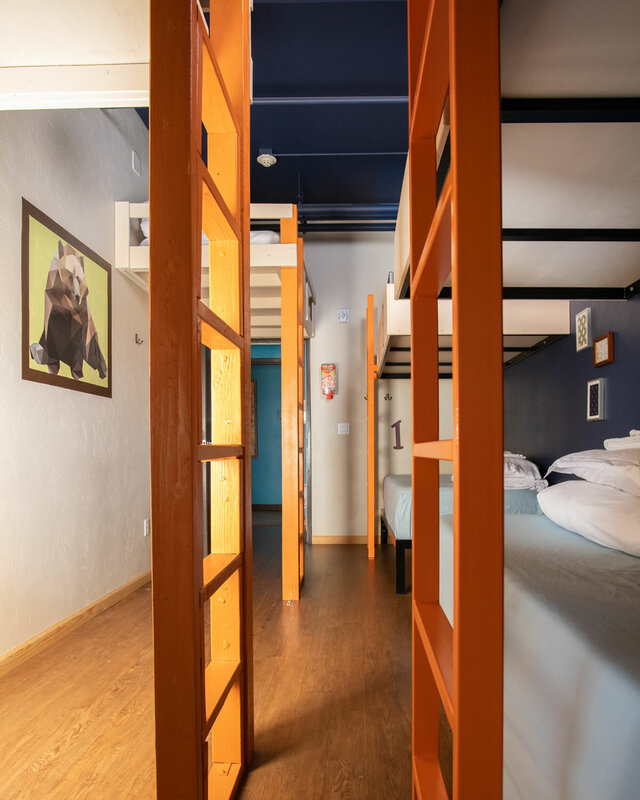 Just like it sounds, this room sleeps up to 6 adults in 6 traditional twin-XL bunkbeds. This room may be booked as a private room or a shared dorm. The six pack also has foot lockers for storage, and a locking door.